Care2 Healthy Living | Did the Sugar Industry Lie to You About Cancer for 50 Years? 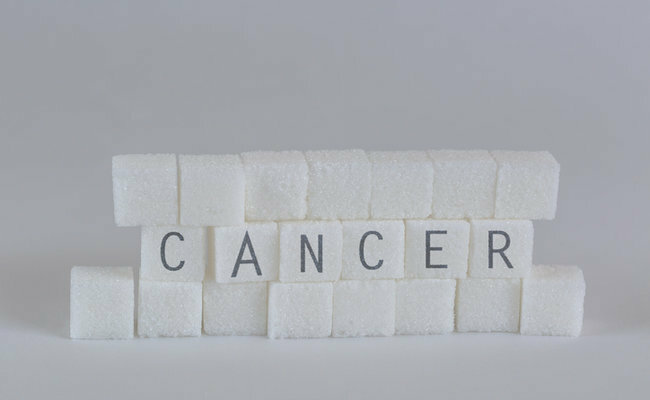 Did the Sugar Industry Lie to You About Cancer for 50 Years? It began with independent research in the 1960s drawing a link between sugar consumption and heart disease. In response a not-for-profit trade association known as the Sugar Research Foundation (SRF) reportedly funded (in secrecy) a study that discounted any link between heart disease and sugar consumption, which was published in the prestigious medical journal The New England Journal of Medicine. The study concluded that antibiotics and starches affected gut microbial changes linked to heart disease, but sugar itself was not the culprit. The sugar industry also began to assess its own internal documents and research over 4 years around that time. Known as Project 259, the study assessed the sugar industry’s internal documents. The Sugar Research Foundation mysteriously terminated the project, never disclosing the results, which remained secret until Drs. Cristin Kearns, DDS, MBS; Laura Schmidt, PhD, MSW, MPH; and Stanton Glantz, PhD began to uncover Project 259 research and exposing the sugar industry’s potentially fraudulent efforts to bias health policy and public opinion for their own financial gain. These independent doctors published their initial findings in the prestigious Journal of the American Medical Association (JAMA) that the sugar lobby has been artificially pointing the finger at fat and cholesterol as the culprit behind heart disease, while simultaneously buying scientific evidence that refutes the connection between sugar and heart disease. Now, earlier this week, Drs. Kearns, Glantz and another author named Dr. Dorie Apollonio published the new article in PLOS Biology, in which they declare that “The sugar industry did not disclose evidence of harm from animal studies that would have (1) strengthened the case that the (coronary heart disease) risk of sucrose is greater than starch and (2) caused sucrose to be scrutinized as a potential carcinogen.” Their review now indicates that the sugar industry not only knew about sugar’s link to heart disease, but also its link to cancer, which dates back 50 years. According to the new article, the Sugar Research Foundation, which became the International Sugar Research Foundation, funded Project 259 for 27 months but refused to fund the final 3 months to complete the study, possibly because the trade association knew their members would be harmed by the results, should they become public. The Sugar Association refutes any link between sugar consumption and cancer or heart disease risk. On the sugar-cancer link, the trade association states: “Studies like this have made news periodically for decades, yet when the full body of science on the subject is evaluated, no credible link between ingested sugars and cancer has been established.” Yet, isn’t this an admission that there have been studies linking cancer to sugar consumption for decades, which is exactly the point of the authors of the new PLOS Biology review? The trade association representing the interests of sugar companies also added: “When it comes to studies that concern cancer, the scientific community and the media should strive to maintain the highest standard of scientific integrity to ensure the public is not needlessly scared or misled.” To which, I can’t help but ask: “does keeping Project 259 and its findings secret for 50 years qualify as the highest standard of scientific integrity?” Because, I don’t think that potentially covering up the cancer and heart disease link to sugar consumption and attempting to mislead the public with secretly funded research qualifies as integrity of any kind. And, it should probably come as no surprise that the Sugar Association continues to refute any link between sugar consumption and heart disease as well, preferring instead to state on its website: “The (JAMA) study resulted in sensationalized headlines, but many of these reports failed to mention that the study’s own authors wrote that the ‘biological mechanisms underlying the association between added sugars intake and (cardiovascular disease) risk are not completely understood.” While the authors of the JAMA article may have made such a conclusion as to the means by which sugar increases the risk of heart disease, they clearly stated the causal link between sugar consumption and the disease risk. But in its seeming hypocrisy, I guess the Sugar Association simply forgot about another study published in the medical journal Cancer Research in which animals 50 to 58 percent of the animals fed a sugar-enriched diet suffered from breast cancer by the completion of the study. Certainly ensuring that the public is aware of such a study or other reputable studies linking sugar consumption to endometrial cancer and colon cancer constitutes scientific integrity, doesn’t it? But, it seems to me that the sugar industry prefers to dig its own grave with sugar spoons. Profits always comes first over health. John public has always been duped into believing bad is good. Sugar is a major culprit for the body to cope with. It cant process it and sticks to your cells and it can turn carcinogenic. Yep..... correct.